Plastic Foils can actually make flood-proof plastic school chairs. 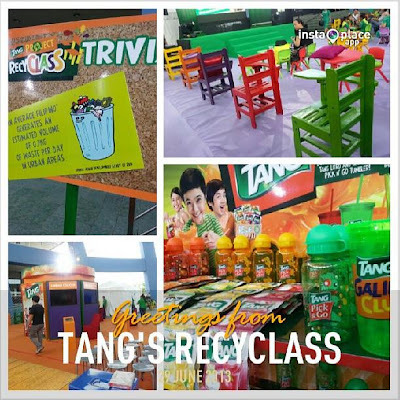 I was inspired to share more ways to recycle fruit juice plastic foil with Tang Galing Club's Project RecyCLASS last Sunday at the Music Hall of SM Mall of Asia Arena. Tang's newest and most innovative project aiming to empower children to collect used foil packs to be recycled and turned into flood-proof plastic school chairs was recently launched to help achieve the goal of at least 30,000 foil packs to create 10,000 school chairs. During the media launch last Sunday, Tang Galing Club created a Virtual World of fun games and surprises to motivate children on the power of recycling and caring for the environment. Registration came with an RFID that lets you post on your social media accounts booths you visit at the Virtual World. I enjoyed from the beginning the photo booth which creates Avatar with gag costumes to flaunt your advocacy. The virtual games which lets you save foil packs and points to create school chairs gave you more ideas how many foil needed to produce what most public elementary school needed these days, flood-proof school chairs. At every time I felt parched, there was the Tang's Recharge Booth letting you drink Tang Fruit Juices in different flavors as much as you want. The stage created the real life classroom scenario on how these flood-proof plastic school chairs would look good in different colors. What a ingenious advocacy I thought reflecting on so many of my students also having a hard time to find a seat in the classroom. 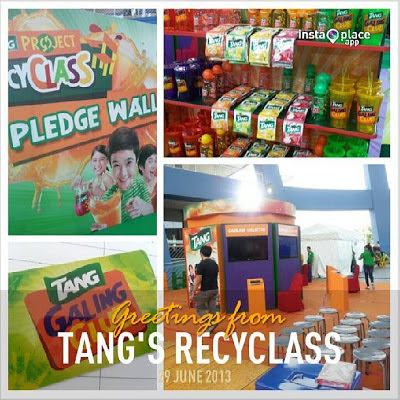 In the real world, Tang would promote RecyCLASS in barangays and anyone can just drop off their plastic foils instead of getting them handled by the Waste Management. The foil will be collected periodically by Tang in each barangay to participate. The mission was brought from the recent report that around 4.5 million kilos of plastic waste are generated everyday and the significant portion of it coming from packaging materials such as plastic foils and containers should serve a good purpose to the clamor of most public schools - flood-prone plastic school chairs. I even tried the plastic school chair and they were really sturdy enough to carry my weight. This is such a noble advocacy worth promoting so don't miss visiting www.TangGalingClub.com and its Facebook Page - https://www.facebook.com/TangPhilippines for more details.